Even if a lot of today’s companies are using paper to conduct their daily business, the truth of the matter is that the current technological advancements are slowly but surely turning this material into something of the past. This transition will not happen overnight, mind you, but it is an ongoing process, nonetheless. We live in a very fast-paced world, and almost everything under the sky is becoming digital, which means that everything is growing faster, easier to use and way more efficient. The benefits of inspection software far surpass the costs. They are a proven and profitable medium and long-term strategy for many company. 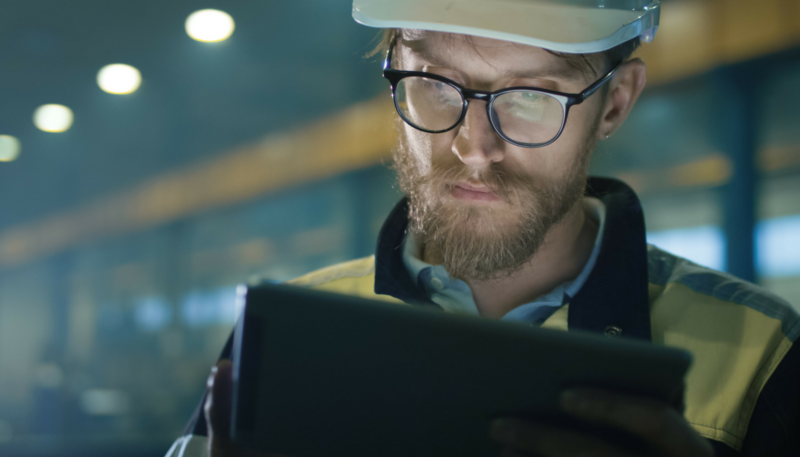 With that being said, here are five benefits of moving away from paper-based inspection systems to inspection software. The storage cost for inspection software is lower than paper-based inspection systems only because the entire logistic and bureaucratic processes are handled more effectively, making everything cheaper and more reliable in the process..
Now that almost everything is at a click away, why should our inspection procedures be any different? Paper-based inspection systems are harder to access at any time of day, as opposed to modern inspection software which is accessible from any part of the globe, day and night, 24/7. Closing the loop assures that a system or a process performs within controlled limits. This process can best be described as the most effective way of planning and monitoring in order to assure that the desired outputs are obtained. While this is also possible in a paper-based system, the inspection software comes with more benefits and it's easier to manage, considering that the amount of actions needed to achieve the desired results is reduced. Reducing the number of actions leads to reducing the chances of mistakes appearing throughout the entire closing the loop process. Inspection software has a high capacity of being customized for the client's needs, offering the ability to "close the loop" on action items and a wide variety of other features which are, most of the times, easier to use than the classic paper-based inspection system. Uniformity across locations is one of the most significant problems encountered in the industry. It's extensive type work, and you need that special type of efficient employee who enjoys checking out all the little details to perfection. It requires a lot of hours and attention, and it's one of the areas where mistakes are most likely to appear. By using inspection software, anyone can quickly check in real time if the standardization of inspection checklists (for example) across various locations is being met. Unfortunately, this is something the old pen and paper can't do! When it comes to this line of work, facility compliance audits, safety reviews, hazard assessments, inspection processes and anything in between; transparency is critical. It's one of the first things somebody looks at, at the beginning of a proposal, collaboration or before signing a contract. Everyone transparently wants the facts and figures, accessible at any moment. It is where inspection software like The Checker Pro comes into play. The Checker Pro takes your inspection program to the next level with a revolutionary software solution, with the incorporated options of allowing you to add only those exact modules you require for your company. The Checker Pro enables its users to connect on any Internet-connected tablet, smartphone, laptop, or desktop computer, on any iOS, Android, or Windows device. The software comes with pre-built features and flexible configurations and can be setup to meet any individual needs while reducing costs and allowing users to see and manage their entire operations all at a click of a button.